Harvest Energy Solutions solar system installed at Harvest Energy Lenawee in Lenawee County, MI. 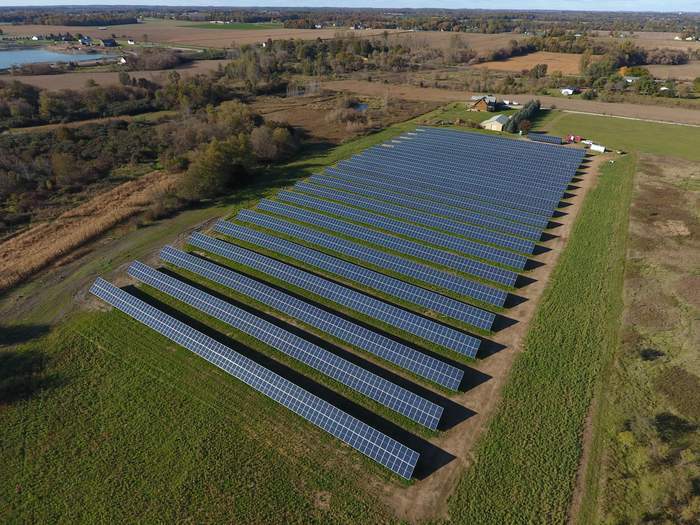 Jackson, Mich.-based solar energy provider, Harvest Energy Solutions is the first provider of solar energy to a utility in Lenawee County, Mich., via three large scale solar array projects in the region. The installations are owned by Stateline Farms, Gerken Paving, and Harvest Solar Lenawee. Each of these systems is capable of 1.0 MW of AC output. The power generated by these systems will be sold to Cassopolis, MI – based energy provider Midwest Energy & Communications (MEC) thanks to a program offered by Wolverine Power Co-op.